This example shows iterative calculation of factorial. To output results in required multiline format a global list variable is used. 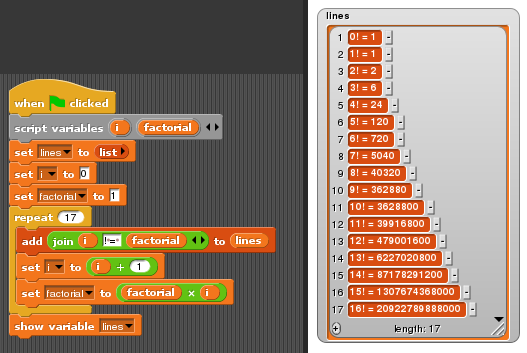 Factorial (iterative) example in Snap!